The best value in Retail ATMs, NH-2700 series satisfies with a wide range of options to customize configuration for any retail location. � Reliability - State of the art technology acquired through our experience in the US retail industry ensures speedy & accurate transactions. Features such as UL291 business hour safe, VISA/PCI EPP certified and verified software make NH-2700 a leader in ATM security. 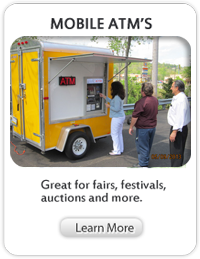 � Scalability - Equipped with a wide variety of cash dispensing units, NH-2700 series not only can fill up to 6,000 notes but also gives a choice of price range for the customers. In addition, the display and the safe specification can be customized as an option. � Flexibility - Mini-Bank NH-2700XP is designed with open architecture platform allowing for easy future upgrades and module modifications. Modular design is one of ways in which we are trying to save our customers' cost and provide maximum convenience. � Flexibility - Small foot print and ergonomic design allows NH-2700 to be installed in virtually anywhere and the function keys with 7" wide display and voice guidance system complies with ADA regulations. 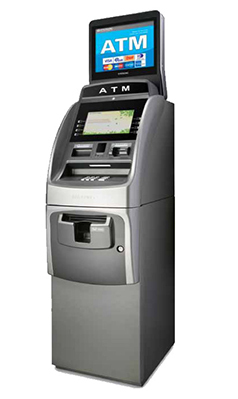 NH-2700 is simply the ultimate ATM solution in the off-premise industry.